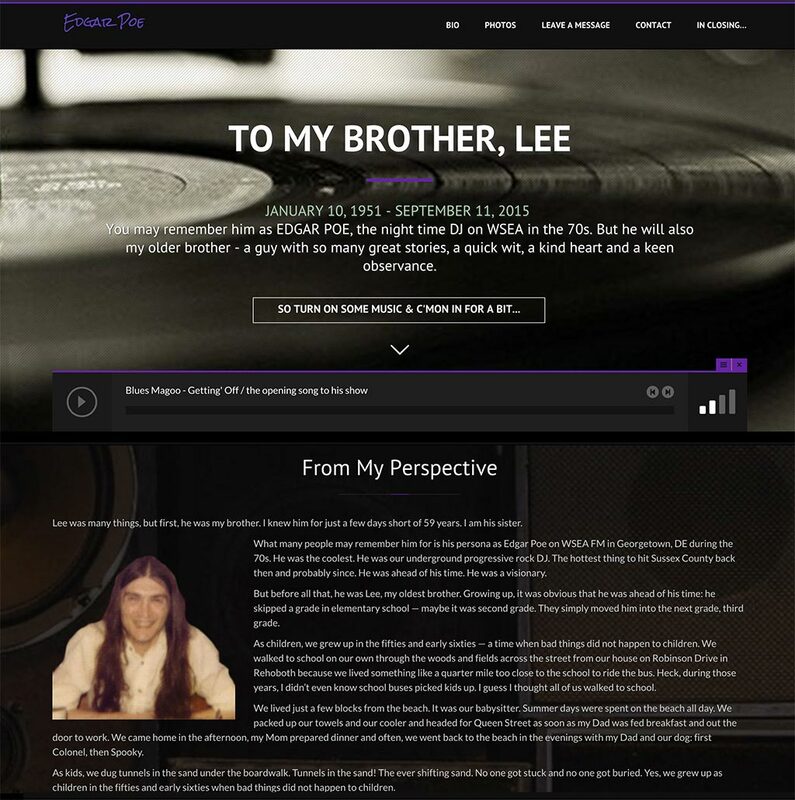 In Memoriam to my brother, Lee. Many people remember from his progressive rock/underground music radio show in the 70s. He was Edgar Poe on WSEA in Georgetown, DE.